How does one survive the unthinkable? And how does one describe the unspeakable? Tazmamart was a secret prison for political prisoners built in the wake of a second failed coup d’état against King Hassan II of Morocco in 1972. The young officer Aziz BineBine was one of the soldiers caught up in that day’s events who found themselves arrested, convicted, and condemned to tiny underground cells in notoriously inhumane conditions. Over half would die there. BineBine was released after eighteen years. Moroccan novelist Tahar Ben Jelloun’s This Blinding Absence of Light (which won the 2014 International IMPAC Award) was based principally on BineBine’s experiences in Tazmamart; here, for the first time, BineBine presents his own account. He wrote his story to honor the friends and comrades who lived and died alongside him by telling theirs: “to describe not only their deaths, but their lives.” The book is not only an invaluable document of a crucial part of Moroccan history and a powerful contribution to human rights literature, but a moving testament to human resilience and the power of storytelling. 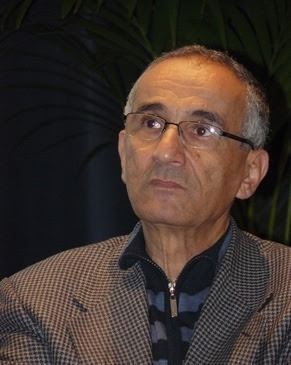 Aziz BineBine was born in Marrakesh in 1946. He completed his secondary education in the French lycée system and then entered the Royal Military Academy, becoming an officer in the Moroccan army. Appointed as an instructor to train recruits at Ahermoumou military school, he was involved in the 1971 coup d’état against King Hassan II. Judged and condemned, he spent eighteen years in the horrific prison of Tazmamart. 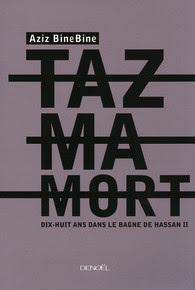 Ten years after his release, to honor his comrades who died in prison, he wrote a memoir, Tazmamort.